We have a fully-stocked pharmacy for your pet's prescription needs! Tri-County Animal Hospital has a well-stocked, in-house pharmacy with a wide selection of the latest medications, treatments, and therapeutic diets for your dog or cat. We carry only the safest flea, tick, and heartworm preventives and nutritional supplements, prescription diet food, and dental care products. 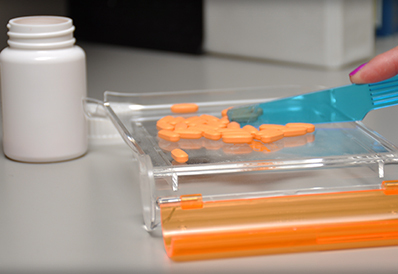 Our pharmacy guarantees that all of our medications are stored in optimal conditions and are 100% safe for your pet. For your convenience, we also provide easy refills in-house. Our knowledgeable staff members can also provide you with dosing instructions and information about any possible product interactions that may affect your pet. You can rely on us for all of your pet’s veterinary pharmaceutical needs! For more information, visit our nutraceuticals and supplements page, or call us today!